Today’s card uses the Half Full stamp set again. This stamp set is the perfect opportunity to practice my watercoloring technique. I started by stamping all my images in our Archival Black ink. Then using my Aqua Painter, I watercolored the glass, bottle, and tag. When watercoloring, I start with a light shade first. And then add more layers of color as needed. When you try this at home, be sure to allow drying time in between the layers. If the cardstock ends up saturated, then it will start to pill and dissolve. If you let it dry in between layers, you will end up with some beautiful coloring with depth. The card base is embossed with the Pinewood Planks Dynamic Embossing Folder. 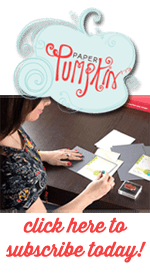 Have you tried these Dynamic Embossing Folders? Every time I get one out, I forget that the Big Shot “sandwich” is slightly different than a regular embossing folder. Everything is the same except use only one cutting plate instead of two. Here is a close-up of my watercoloring. I think it looks pretty good. Watercoloring is such an easy and quick technique. You almost can’t go wrong with it. This card was inspired by one I saw on the Stampin Up Demonstrator website. I love having access to the thousands and thousands of card ideas online. If you want to have access to tons of ideas, you should sign up to be a Demonstrator. I’m always looking to make new crafty friends. Contact me today! Hosting a holiday catalog event is always fun—and we’ve just sweetened the deal with our exciting Merry Patterns Host Promotion. If you host a party with $300 in sales by October 31, you’ll earn the FREE Merry Patterns Stamp Set. So deliciously cute! I’m now inspired to open a bottle of wine! !